It’s not unusual for a nanny to be hired by a couple that has stepchildren who visit regularly. The stepchildren may be from the father’s or mother’s previous marriage, or even come from both. Although the family issues that come with divorce must be dealt with directly by the parents, there are ways in which a nanny can help. Here are some things a nanny can do to help everyone involved successfully navigate and enjoy visits by a stepchild. Welcome the child as a member of the family. 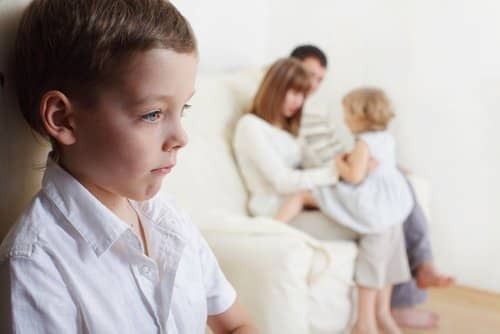 Too often, stepchildren who don’t live with their parent or step-siblings full-time feel like a visitor rather than a part of the family when spending time at the parent’s home. Even the language points to “visits” and “visitation.” However, nannies who are aware of this issue can take steps to make sure the children feel welcomed as a real part of the household. Give the child a space of his own. A nanny can work with parents to create a private space for the child. If the family lives in a large house, the stepchild may be lucky and have his own room. Even if he doesn’t, the child can still carve out his own space in the guest bedroom or a shared bedroom with a sibling. By adding personal items and favorite colors, it can feel like it was created just for him. Often times, a nanny has more time than a parent to add these personal touches.